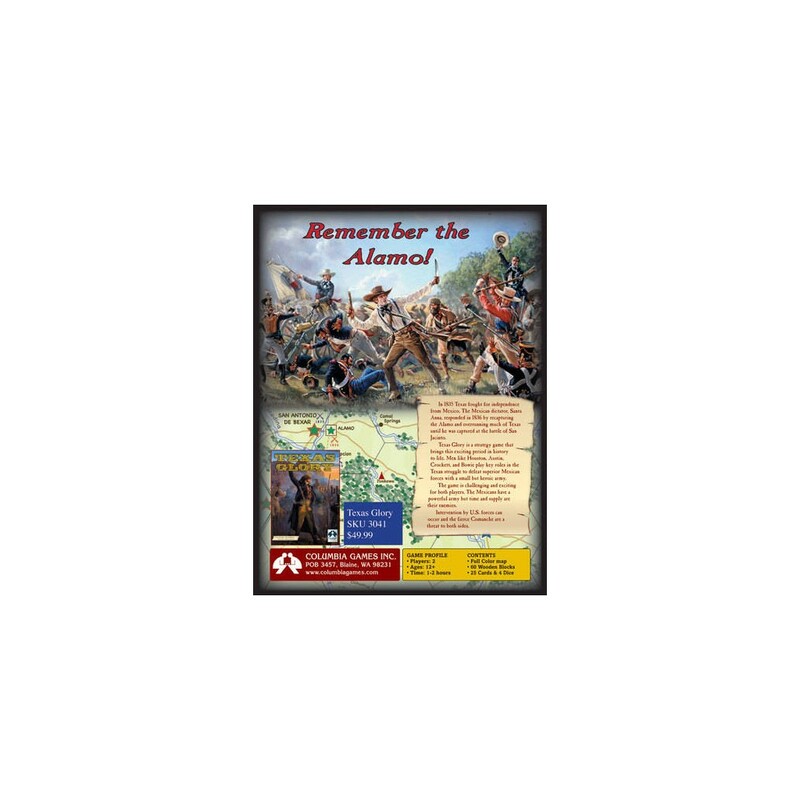 A wargame of the Texas Revolution, from Gonzales to San Jacinto through Béxar and Alamo. In 1835 Texas fought for independence from Mexico. The Mexican dictator, Santa Anna, responded in 1836 by recapturing the Alamo and overrunning much of Texas until he was captured at the battle of San Jacinto. Texas Glory is a strategy wargame that brings this exciting period in history to life. Men like Houston, Austin, Crockett, and Bowie play key roles in the Texan struggle to defeat superior Mexican forces with a small but heroic army. The game is challenging and exciting for both players. The Mexicans have a powerful army but time and supply are their enemies. Intervention by U.S. forces can occur and the fierce Comanche are a threat to both sides.